21922 Us Highway 98 Dade City, FL. | MLS# E2203842 | Real Estate Sales & Property Mangement in Dade City, San Antonio, Wesley Chapel, Brooksville, Homosassa, & Bushnell. Nature Lovers dream! 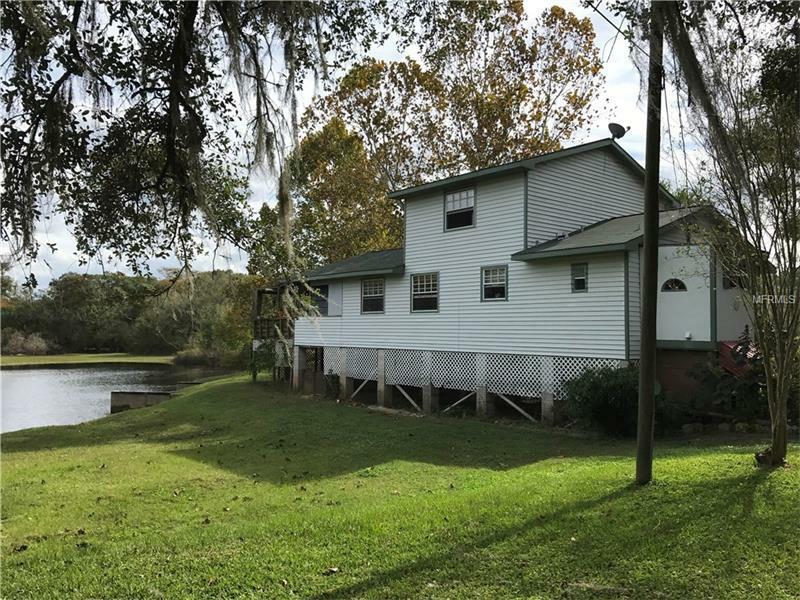 3/2 Riverfront home on concrete stilts located on 2.43 acres. Enjoy the view from your balcony overlooking the Withlacoochee River and your own private spring fed pond with dock. Enjoy your time outdoors on the paved patio area featuring a built in BBQ grill/fireplace, fire pit and picnic table. Home features an open plan and lots of windows. Master suite is the 2nd floor affording lots of privacy and views of nature. Have dogs? Your dogs will love the out door air conditioned dog house! Guests will enjoy visiting and staying in the mother in law cabin which over looks the pond. Mother in Law cabin is 1/1 with full kitchen, bathroom and living room(parcel ID 22-23-21-0000-00200-0000). This listing includes an additional 1.44 acre river front lot that is not connected (parcel ID 22-23-21-0000-00200-0070).